‘There was some open space between what he knew and what he tried to believe, but nothing could be done about it, and if you can’t fix it you’ve got to stand it.” Annie Proulx’s concluding lines of worldly stubbornness and indifference offer a sense of miserable realism to her renowned short story, Brokeback Mountain. Yet whilst her musings upon the feverish love between two herdsmen in 1960s Wyoming strike a particularly potent chord, Ang Lee’s reincarnation of the characters and scenery in his 2005 film grant a necessary visualisation to an issue otherwise downplayed or censored in cinema. 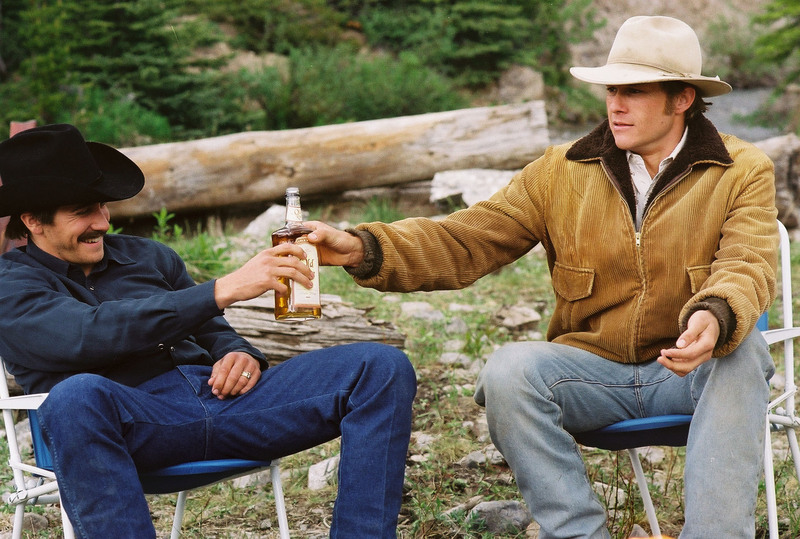 Whilst Proulx offers a focus upon Ennis Del Mar’s perspective, Lee finely balances his vision between Del Mar (Heath Ledger) and Jack Twist (Jake Gyllenhaal), gifting us with the former’s desolate, stoic life as a husband and father in windswept Wyoming, and the latter’s glittering, rodeo lifestyle with a Texan heiress. It is difficult to imagine the kind of 60s Americana that Proulx used as her backbone until you see the disparity between the neon lights of a southern bar and the smoothly sweeping, green-clothed mountains that feature in the film. It is difficult to imagine the screaming silence as Ennis’ wife Alma (Michelle Williams) watches the two men embrace, still and static, or the whirling rush of the wind as the men harmonise with the natural world in their shaking tent. Lee takes Proulx’s prosaic, terse tale and injects it with colour and sound: he makes it a tale of two men, rather than a man and his lover. Most significantly, however, it brought the depiction of homosexuality into the public consciousness, and through its scenes of male love, proved that cinematic love stories do not always have to involve a Jack and Rose, or a Demi Moore and Patrick Swayze, in order to be both poetic and successful. “And yes, I will always be just a little bit fat.” It’s my favourite line from a fantastic movie. Yes, it’s a chick flick, but it has a sense of realness to it that will resonate through you for pretty much your entire adult life. Particularly if you’re a single female with a fondness for wine. Or vodka. Perhaps a little too fond—but that’s another story. I’m talking, of course, about Bridget Jones’s Diary. Don’t get me wrong—I loved the book version—but Renée Zellweger makes Bridget come to life. She encapsulates everything Bridget is—and a lot of fears most adult women face. Do I have too many wobbly bits? Do I drink too much alcohol? Where am I going in life? Does he love me? Bridget Jones’s Diary shows us we can have these fears. We can have ridiculously embarrassing moments, from drunken renditions of Celine Dion’s “All By Myself” to accidentally showing your bottom on national TV. We can change our minds, we can have moments of self-doubts, we can—and most likely will—have our hearts broken. But you know what? We can survive, and we’ll be better for it. On the surface, Bridget Jones’s Diary may be a story about a single thirty-something finding her place in life, but in reality, it’s so much more. And I love the film so much because you can experience this profound, inspiring lesson in the small space of 97 minutes, which is why Bridget Jones’s Diary makes this list. Enjoy! That radical feminists love to hate it and that crazed, middle-aged American men decided to imitate it speaks volumes of the polarising nature of David Fincher’s Fight Club, but it’s both groups who have grossly overestimated the tone of it. Neither group is less than guilty of misunderstanding the text, and any who view the film as sober philosophising on masculinity, for better or worse, make a clear-cut case for the phrase “completely missed the point”. For some reason, perhaps the film’s particularly vibrant depictions of violence, or its ability to evade the mainstream despite its star-studded cast, the tongue-in-cheek nature and black comedy status continue to elude. There’s plenty of thought-provoking themes explored in the film; why must people focus on the theme of masculinity, when it’s so clearly ridiculed? Fincher takes Chuck Palahniuk’s quotable and inventive writing style, adds a delightfully rotten cast and creates something that transcends everything a book could be by itself. The book is frankly the opposite of bad, but this is simply a story destined to be portrayed on a screen, with a fully-realised, playful vision. If you’re the unlikely case who’s read the book but not seen the film, you might not believe me just yet, but only such an auteur, also notable for directing some of Madonna’s most famously arresting music videos, could have turned such a story into something this colourful and manic. “Those idiots just green-lit a $75 million experimental movie”, Fincher is quoted. And truly, it’s a film based on a story in which we never learn the name of the central character. 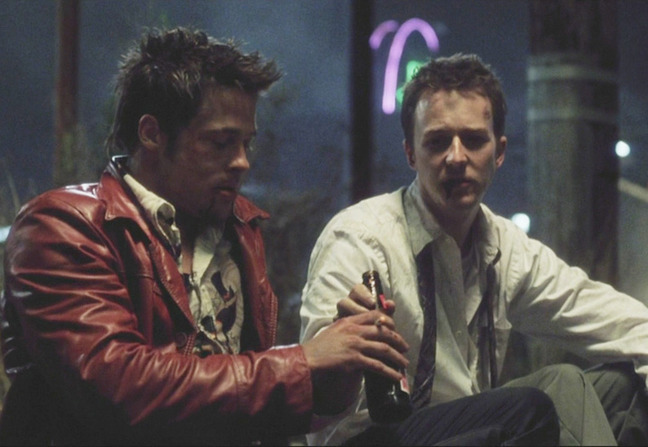 Fight Club may have been largely misunderstood upon release, and still is to a degree (a flimsy score of 66/100 on Metacritic based on 35 professional reviews remains, with one reviewer even calling it “underwhelming”), but it has risen in status to be defined by what it always was: a stunning success. It has aged extremely well and has become one of the quintessential works of the 1990s. Let’s just start off by saying that all of the Harry Potter books have very little faults with them. J. K. Rowling created a spectacular world to write the young wizard’s adventures in, and with each installment brought in more and more treats, excitement and passionate storytelling to pacify millions upon millions of readers. 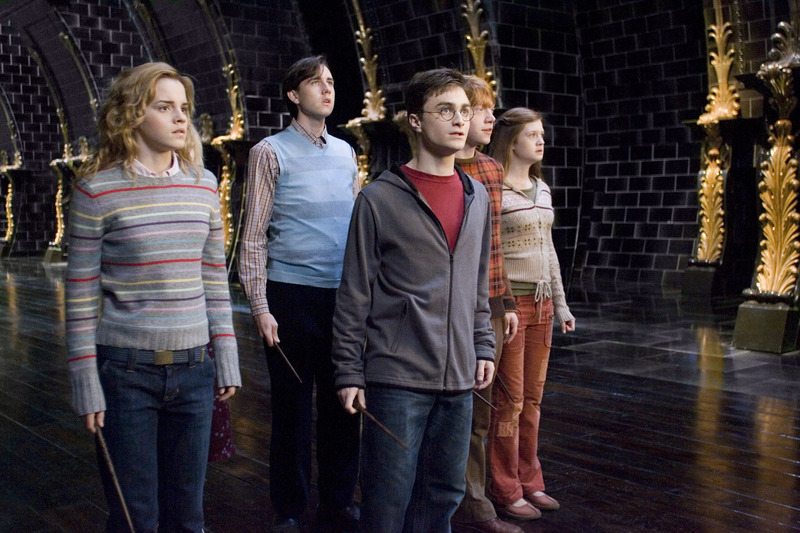 So surely, the 5th and longest chapter in the series, The Order of the Phoenix, which contains the most intricate details and new revelations about Harry, his friends, his teachers, and the Dark Lord himself, simply couldn’t be put on the screen and hope to even top the level of intricacy of the book? The straight answer is no, it doesn’t bring the level of detail and intricate exploration that the book has – but that works to the film’s advantage. The novel is electrifying for the most part, yet there are passages which couldn’t help but feel drawn out. Several chapters are spent in Sirius Black’s crumbling Grimmuald Place, with Harry, Hermione and the Weasleys doing endless chores and shopping in Diagon Ally, with Harry having spent a good three chapters before that trapped at the Dursley’s. And then there is a great deal of teen drama when Harry, Ron and Hermione finally reach Hogwarts, relationship crashes, and Ron trying to fly a broomstick. All of these sub-plots and general background to what was going on in Harry’s school life is perfectly amiable reading, yet the amount of pages devoted to them begins to distract from the main story arc. The film on the other hand – as Hollywood often does with novel adaptations – chooses to gloss over a lot of these shenanigans. Normally this is problematic, but with a monster book of over 700 pages, the producers and writers got it bang on – nods are given to all of the teen angst, the common day wizard activities and the relationships, but none are dwelled on for more than necessary, and nothing is entirely neglected. This is why the film adaptations stands out so much as being a better piece of entertainment than the book, everything you could want from it is there. The longest entry in the novel series became the shortest film, and that’s a considerable achievement. While both the book and the movie are great, Drive is way better on screen. Like the book, it’s short, dark, and violent, but where the movie succeeds is with its stylish direction and unforgettable soundtrack. Nicolas Winding Refn did an incredible job directing this movie, ever shot is beautiful and well framed, while his decision to make it a slow burn in the beginning really pays off as it allows the tension to build and the action to kick in later on. 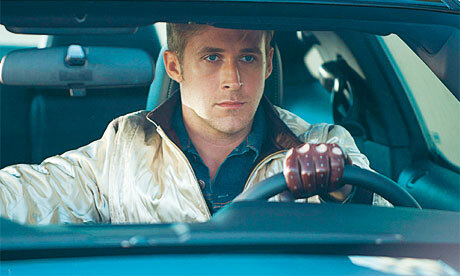 All the while, the synth-heavy soundtrack makes Drive feel like it just escaped from the 80’s. Its such a strange mix, but it sets the mood perfectly for every scene and fits right in with the neon pink title at the beginning. These two factors really gave the extra push this movie needed and made for a great movie going experience. Also the book goes into a little more detail with the main character’s back story. In most cases this would be helpful to deepen the character, but the mystery surrounding The Driver in the movie version makes him more interesting, by having you guess at how he acquired his skills and how he became involved in the crime world. While the book is good for a quick read, the movie is one of my favorites thanks to these improvements. The movie was also able to ramp up the suspense better than the book. While the book had some suspenseful parts, the movie would perfectly build on a moment (like a certain scene in an elevator) until an almost unbearable length, and then have a huge explosion of violence that would be completely shocking. The book never gave me that feeling, but the movie version provided it time after time. The movie version of Drive perfectly captures the absolute feeling of dread and excitement, filling you with the exact emotions that any great thriller should provide. So while the book was well written and had some cool ideas, the movie was able to build on all of the book’s best elements and make something great from it. Since the release and subsequent success of the first film installment in Suzanne Collins’s Hunger Games trilogy, the proven popularity of Young Adult film adaptations have spurred a number of studios to greenlight similar projects. In the years following, films like Divergent attempted to capitalize on the new niche market that is YA dystopian, while films of other genres like The Mortal Instruments and The Fault in Our Stars further took advantage of the emerging popularity of the teenage consumer market. However, unlike The Hunger Games trilogy, which has spawned three highly-praised film adaptations, others have failed to translate material from page to screen with similar success. It is an impressive achievement to be able to craft a film that is equal to or better than its print counterpart, and it certainly is not an impossible task, but it seems Young Adult adaptations have remained in a frustrating plateau of mediocrity. That is, until The Maze Runner came along. James Dashner’s trilogy opener, The Maze Runner, tells of a group of teenagers who are trapped inside a giant maze with no evident means of an exit. 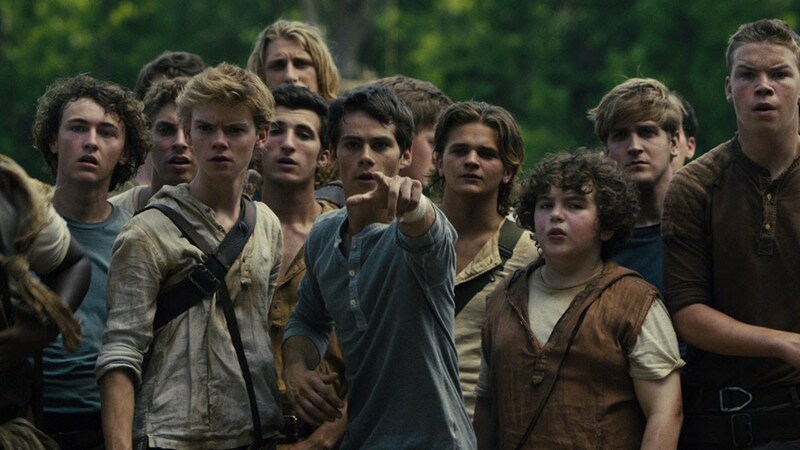 It is not until Thomas (the last boy to be sent into the maze) joins the entourage that they are able to eventually puzzle out the mystery of the maze. It was a mediocre read (I’m being very generous here), with too much obnoxious slang and too little plot. Dashner’s prose is like bland chicken soup—it serves its purpose, but you don’t get much enjoyment out of it. The entire novel is built solely around the mystery of the maze, and Dashner’s only means of advancing the nonexistent plot is by withholding information, which created more frustration for readers than suspense. However, despite my lack of interest for the novel, I still believed The Maze Runner, which was optioned by Fox at the time, would translate quite well on the silver screen. And I was right. What always hindered The Maze Runner was not the concept but rather Dashner’s execution. He simply did not have the chops to pen an engaging story that was worthy of the scope of his idea. Thankfully, screenwriters Noah Oppenheim, Grant Pierce Myers and T.S. Nowlin managed to salvage what they could from the book, and director Wes Ball realized the movie as a satisfying and engaging film that was made to entertain. That is what The Maze Runner deserved all along. It is a story that needs heart-pumping action and tension and well-crafted suspense. In Dashner’s hands, the novel was burdened by a lack of depth and substance, whereas in Ball’s hands, the story became a briskly-paced adventure that immersed viewers in the gritty world of the Maze. One of the greatest books to film adaptations by far is the adaptation of Rita Hayworth and the Shawshank Redemption, a novella by Stephen King, to The Shawshank Redemption. The movie is an absolute classic and is continuously regarded highly as a film in its own right. This adaption is so famous that Family Guy has episodes to parody the events. Even though the film was released over twenty years ago, its Oscar snub is still regarded as one of the biggest snubs ever (which was due to it being released the same year as Forest Gump). The adaptation itself stays very true to the source work and does not divert in any major way. There are a few exceptions, like the fact that in the novella Red is a red headed Irish guy and not Morgan Freeman, who to the best of my knowledge is neither Irish nor a red head. This detail can easily be overlooked because Morgan Freeman’s voice, which allowed for the memorable narration of Andy’s life inside Shawshank Penitentiary, and his superb acting chemistry with Robbins’ portrayal of Andy Dufresne . If anything, this story is perfect for adapting to the big screen as the source work is just over 130 pages, which is similar to the size of a script. This means that the story avoids typical issues of film adaptations, such as leaving details out and having fans upset about changes. 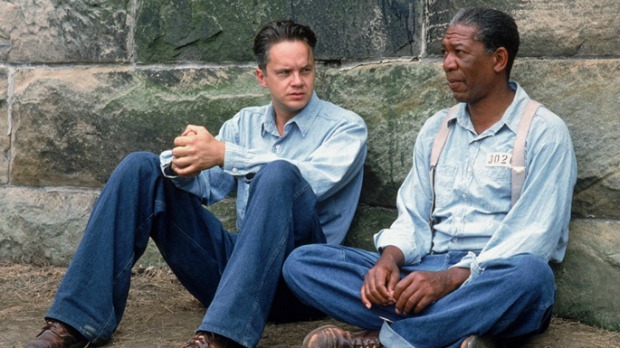 A magically put together film adaptation that tells the story of triumph and hope even in the worst and most helpless situation, then reading and watching The Shawshank Redemption will be perfect for you. Full disclosure here: I have read all four of the Twilight books and actually enjoyed the first one. As I progressed with the series, though, the enjoyment quickly faded. New Moon was a big meh, Eclipse was downright deplorable, and Breaking Dawn was infuriating. So what made Breaking Dawn – Part 2 so surprisingly good? The added action. If you’ve seen the movie, you will remember that there is an epic battle scene towards the end where basically everyone dies. Oh, but surprise! It’s just a vision that Alice Cullen shares with Aro, the leader of the Volturi, to show him what will happen if he doesn’t leave Bella and Edward’s half-human, half-vampire baby alone. This climactic anti-climax at least offers a pretty cool battle scene. The ground splits open, werewolves attack, and vampires are ripping each others’ heads off – all fun fighting stuff. In the book, readers are not afforded this dramatic extravagance. The book instead offers chapter after chapter of build-up and vampire training until the Volturi finally show up. Three whole chapters are dedicated to a “confrontation” that never becomes interesting; it’s Bella narrating a waltz of a conversation and continuously teasing us with an itch to fight, stating that she actually wants to fight as the Cullens’ assembly of witnesses begin to pick which members of the Volturi they personally want to annihilate. This serves as a suspenseful sprinkle of broken promises, since the reader is graced with 62 pages of conversation with minimal action, only to have a mere 6-page back-story for the resolution to take place with a turn of the page.